As staff at The Lost Dogs’ Home made their way into work this morning, a distinctive bleating could be heard from within a concealed pen usually reserved for those animals who bark, not bleat. A juvenile goat – made famous yesterday during what media have dubbed the ‘Great Melbourne Goat Chase’ – enjoyed her breakfast of grains and hay, oblivious of the drama she caused police and council rangers in the city’s north over the past two and a half weeks. Nicknamed ‘Houdini’, this little goat was first noticed running around the Essendon airport in late January, after several commuters reported they had narrowly avoided hitting her on the Tullamarine Freeway. Translink contacted The Lost Dogs’ Home to provide assistance in capturing the agile and anxious goat but she proved too elusive. “Our team worked with the Translink incident controllers to capture her but she managed to evade all efforts, using tunnels, bridges and the Moonee Valley Creek to escape,” Operations Manager Jodie Addamo said. The goat was next spotted in the Moreland area; however, once again, she ran away before any staff members could get too near. After another marathon effort yesterday morning, which saw the goat once again slip through our clutches, the Home got a call in the afternoon to say the goat had moved into the City of Melbourne, near the Parkville area. Senior Animal Management Officer, Louise Barrett, prepped her team, as well as officers from Victoria Police and even a Channel 7 news crew, on a strategy for capturing the goat. With nets, blockades and even a helicopter overhead to track the whereabouts of the goat, it took the team five hours to finally get their hands of the wriggling young kid. 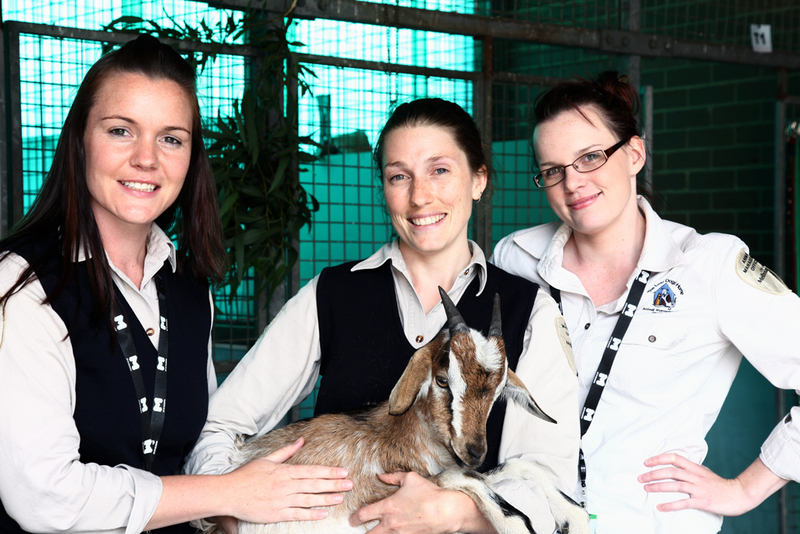 A Channel 7 Sound Assistant – there to cover the story as it unfolded – managed to catch and hold on to the goat before Louise and her team took over. As for where the spirited goat came from, well, no-one really knows. Jodie said Houdini had no identifying tags or marks; however she will be held at the shelter until an owner steps forward or we can find her a suitable new home. Did you miss this exhilarating footage on the news? View it on the 7 News website.